Credit: Image by Phanatic on Flickr. Some rights reserved. On March 12 1989, Sir Tim Berners-Lee first proposed a "distributed information system" at CERN, submitting a document which came to define the World Wide Web in its earliest stage. Mike Sendall, Berners-Lee's boss at the time, scrawled "vague, but exciting" at the top of the document and twenty five years later those words remain ironically accurate. Berners-Lee was knighted for his efforts in 2004. The web has changed the world and journalism with it. 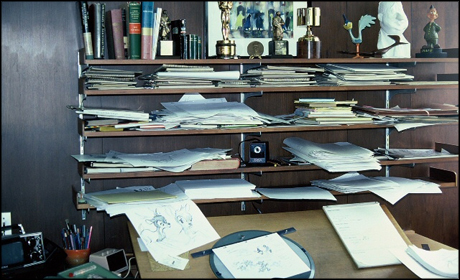 To mark today's anniversary, here are 25 tasks in the modern journalist's job and a wealth of online tools to help accomplish them. It is not intended to be a comprehensive resource so feel free to contribute in the comments if you have any more tips. When almost every company, government department and public person has a presence online the journalist's cup overflows with potential sources for stories and information. But where do you start? What Do They Know is a great resource for Freedom of Information requests, helping the user to submit requests and documenting responses to queries already made. 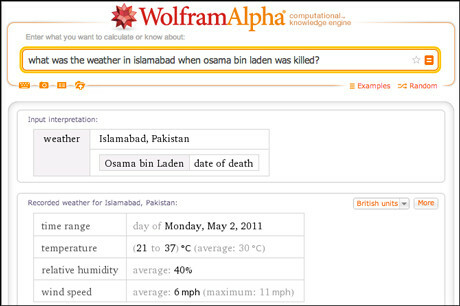 Wolfram Alpha is another great tool, billed as a "computational knowledge engine". Rather than search the web Wolfram Alpha does "dynamic computations based on a vast collection of built-in data, algorithms and methods", according to the site itself, and returns referenced answers. Social media is just as useful for gathering news as it is for distributing it and there are a number of platforms which can help the journalist achieve this. Interest lists and GraphSearch on Facebook, and Twitter lists or searches organised on TweetDeck are both excellent ways to find and monitor social networks, but some third-party platforms are just as useful. 'Social newswire' Storyful launched its Chrome browser extension Multisearch in August last year, trawling through public parts of Twitter, YouTube, Tumblr, Storyful and Spokeo for keywords. Topsy serves a similar function in searching links, tweets, photos, videos or 'influencers' for keywords, but with the added bonus of showing whether a topic or keyword is trending. Other useful search tools include Followerwonk, for searching Twitter bios for keywords, and Snap Bird which can search individual Twitter accounts instead of the entire network. The age of 'big data' and open knowledge has also uncovered a vast amount of starting points for potential stories. In the UK, Data.gov.uk, the Office for National Statistics, the NHS's Health and Social Care Information Centre, the Environment Agency and Department for Transport are all good places to start finding data sets. 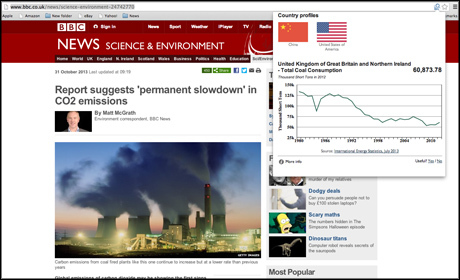 Knoema offers a vast global database of information and statistics and last year released the World Data Finder as a Chrome browser extension to highlight data around keywords on a web page or article. DueDil is another data store, but with a business focus, and not-for-profit investigative organisation ProPublica launched its own online Data Store in February. If you need to know when a website changes – to see when new posts are published or statistics are released, for example – ChangeDetection and Is It Updated? will both send the user an email notification should changes be made. Digital tools have made it easier for propagandists or cheeky chancers to spread misinformation, but it is the journalist's job to get to the truth. The best way to find the truth is still by speaking to people on the ground and properly attributing information. The social media tools mentioned above can help you track down individuals at the scene of a news story to substantiate reports, while TinEye is a good tool for double checking images. The Verification Handbook has a host of tools for verifying identities, places, images and more. It's rare that you can record audio or video material that is ready to publish immediately, so TwistedWave (audio), WeVideo (video) and Pixlr (images) can all be used to edit media online before going to press. Journalism is all about delivering stories to an audience so choosing a user-friendly publishing platform is paramount. WordPress is the go-to platform for a lot of bloggers for its customisation options and wide user base, while Tumblr is a simpler if more limited version of the same concept. A little knowledge of HTML and CSS is useful here (see Codecademy, below) but the most technologically-illiterate journalist should be able to publish a few words, even if it is by accident. Markdown is a text formatting language that is gaining increasing use due to the fact you can format text using keystrokes rather than mouse clicks and is worth looking into for those who do a lot of blogging. The tools for multimedia publishing are more widely available than ever, with Soundcloud and Audioboo being the most popular platforms for publishing audio content like podcasts or interviews. Barriers to entry for broadcasting video are dropping faster by the year as filming technology goesmobile. YouTube is by far the most widespread, allowing anyone to quickly and easily upload videos, while Vimeo has more precedence among high-end users for its greater hosting capacity and premium services. Self-distribution platform VHX is looking to break into the big time as well, giving users the option of putting a paywall on their videos while offering teasers or trailers on YouTube or Vimeo for free. Liveblogging bridges the gap between reporting and publishing by delivering real-time updates on a story. ScribbleLive, CoveritLive and Liveblog Pro are all platforms worth checking out if you want to get into the immediacy of reporting news to an audience. Presenting stastics in a visual format – be it a chart, graph, timeline or map – is vital in making them understandable and consumable quickly by an audience. Thankfully Google Fusion Tables allow you to do all of the above, as does visualisation tool Tableau, while Datawrapper is a simpler but equally effective way to make quick charts. Making maps to show geographic events, with or without data, is also a useful tool for telling stories. Journalists can customise Google Maps to show routes, areas and locations, use CartoDB to for data-driven maps or export maps from OpenStreetMap for the raw, cartographic starting point. Alongside text, audio and video publishing the web has brought new, engaging ways to publish information. Some data visualisation tools have interactive qualities and if you have the requisite coding skills you can build your own, but there are some options for making immersive features straight out of the box. Thinglink is a good platform for building interactive images, letting the user annotate pictures with pop-out boxes for text, links and video. 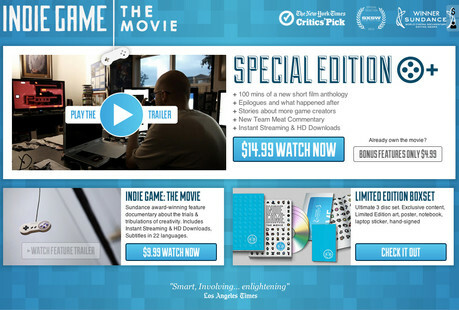 The Knight Lab's TimelineJS is also useful, making the construction of timelines with embedded multimedia easy. In terms of interactive video, KettleCorn, WireWAX, Zentrick, and Meograph all give the option of manipulating video with additional information. The publication of long-form articles as immersive, media-rich web pages has been a recent phenomenon among some news organisations (update: not a "fad" as previously stated), prompting furious discussion as to the pros and cons. Larger fonts, parallax scrolling and multimedia embeds can bring a story to life when employed effectively though, a feat that scroll kit enables, soon to be followed by a public offering from Shorthand. Most publishing platforms offer the option of embedding pictures in a story, which is great if you've taken your own photographs, but this has led to widespread copyright infringement on the web as images get used without permission. You can store your own photos online using Flickr, while Creative Commons Search is a great way to find images that have been made available by the rights holder, with some rights reserved, and generally avoid law suits or bad karma. Speaking of karma, the sharing of good work by others is now a common practice for most news networks, whether highlighting the work of other organisations, presenting user-generated content or crowdsourcing stories. Delicious is a simple bookmarking tool for collecting interesting links around topics and sharing them, Pinterest is a more visually appealing way of sharing links as images while Storify is a great tool for pulling tweets, Flickr images, Facebook posts and other social content into one place to tell a story. Spundge is also a useful tool, designed to help journalists "gather, curate and publish a lot faster" according to founder Craig Silverman, speaking to Journalism.co.uk at the time of launch. Using social media to distribute journalistic content, of any medium, has been a major revolution in publishing in the last ten years. 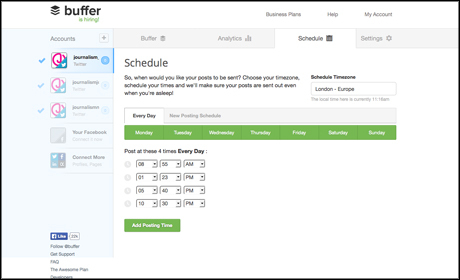 Both Buffer and Hootsuite allow their users to write and schedule posts for Facebook, Twitter and other social networks so you don't have to manually post each update to your accounts. Social analytics tools help to further refine the effectiveness of a social media strategy – when is best to post, what types of stories perform better on what platform, and so on. The deceptively similar SocialBro and SocialFlow both break down a wide range of factors that influence how well a social media account may perform, as does Sprout Social. And as well as letting users save space by shortening links, Bitly also shows how many times a link has been clicked on, how many times it's been shared and geographic distribution. Add a plus sign to the end of a link from another account and it will show you the breakdown of stats there too, as long as the user has made them public. Without a tailor-made commenting facility a lot of organisations use Disqus or Facebook comments for their website, the pros and cons of which were discussed on Journalism.co.uk here. As well as providing a public front for a news organisation and a potential source for stories, social networks are an opportunity for journalists to grow their network of professional contacts. Sharing information relevant to your beat and interests is the best way to build up a network of followers and contacts on any social network, and the following guides to Twitter, LinkedIn, Facebook and Google+ can take things further. Until some bright spark invents an accurate, automatic transcription tool we will just have to carry on doing it ourselves. Transcribe and oTranscribe make life a little easier by putting the audio player and text edtor in the same window with some neat keyboard shortcuts for navigating audio while typing. If you're going to be working on the web it can help to be able to manipulate it in some way to build visualisations and games or just to give your website a tweak. 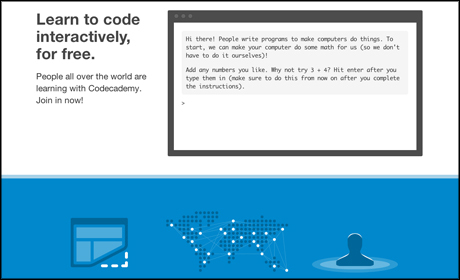 Coding isn't necessarily for everyone but you never know until you try. With such an enormous amount of digital information available it helps to be able to store it where it can be accessed from anywhere with a Wi-Fi connection. Evernote is a must-have, multiplatform service that basically acts as a digital notebook accessible from any device with an internet connection, allowing you to save photos, audio files, web pages and notes for later use. Google Drive is similarly useful but in a more collaborative sense. Users with a Google account can create documents, spreadsheets, presentations, drawings or forms and make them publicly available via a URL or share them with others via email. Dropbox has similarities to Google Drive in its sharing capabilities but instead allows you to privately share specific files. If you are looking to share long, complex web addresses then Bitly is your best bet, shortening URLs into a tweetable, bitesize chunk. 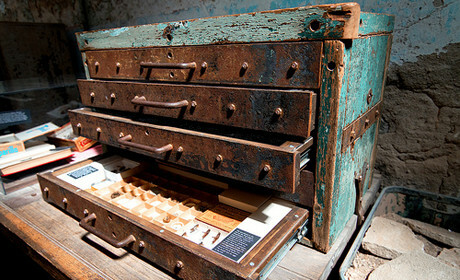 Cloud-based services like Dropbox, Google Drive, Evernote, Facebook and Twitter are essentially huge, digital filing cabinets making it easy to store information, but sometimes it can be difficult to remember where you put it in the first place. 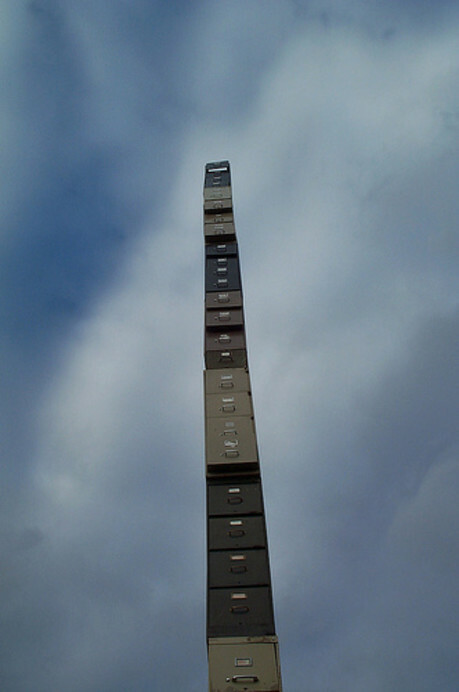 A huge analogue filing cabinet, courtesy of redjar on Flickr. Some rights reserved. CloudMagic is a website and app that will search all of these platforms once you have connected your relevant accounts. Keeping on top of the constant flow of information around the web is a daunting task but there are a number of web-based apps that can pull together relevant sources for easy consumption. RSS (rich site summary) readers have been around in one form or another for nearly as long as the web itself, our favourite being Feedly for ease of use. Search for feeds by URL, title or topic and organise them into topic specific sections to get automatic updates from favoured websites. Flipboard is also useful as a "social magazine" in presenting stories on specific lists and topics, while News360 is another personalised newsreader that learns your preferences and reading habits the longer you use it and finds sources you might like from around the web.